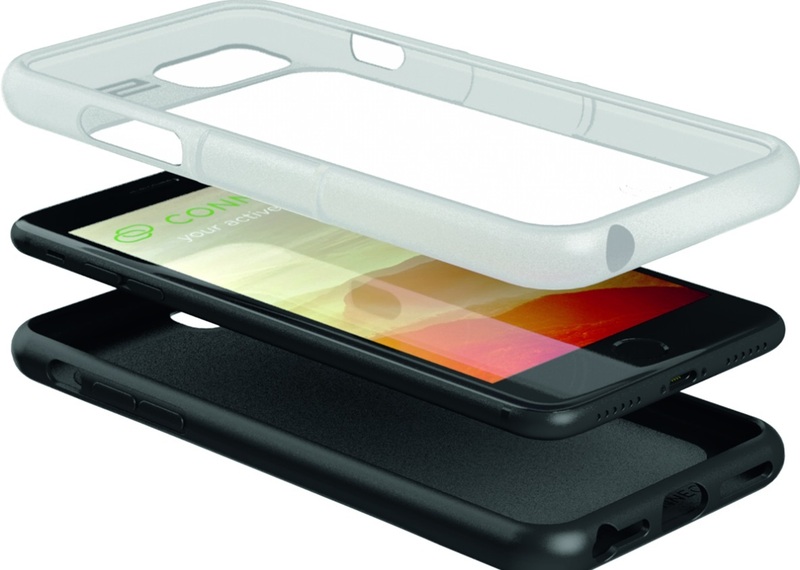 This smartphone support made of aluminium alloy by means of a CNC machine fits on all types of handlebars. 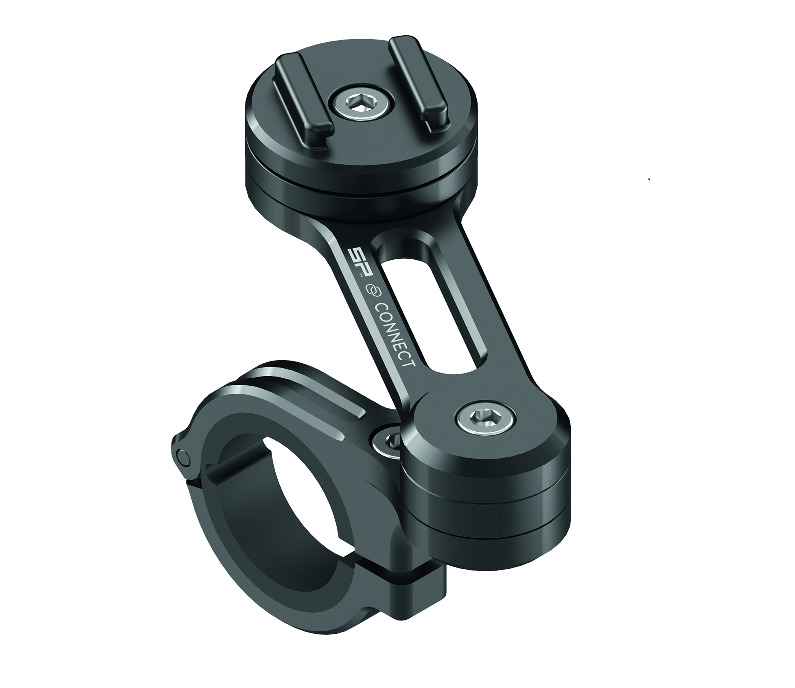 It can be mounted with the positioning arm or as a direct clamp support. Both solutions allow 360° rotation for optimal positioning. 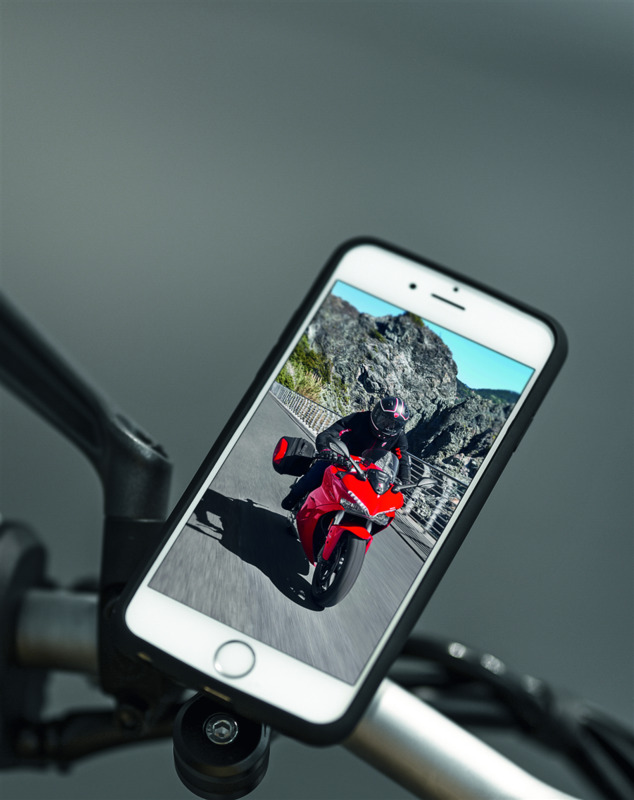 For maximum protection of your smartphone, the support is designed with a unique system that allows you to cut G forces up to 40%, greatly reducing vibrations. 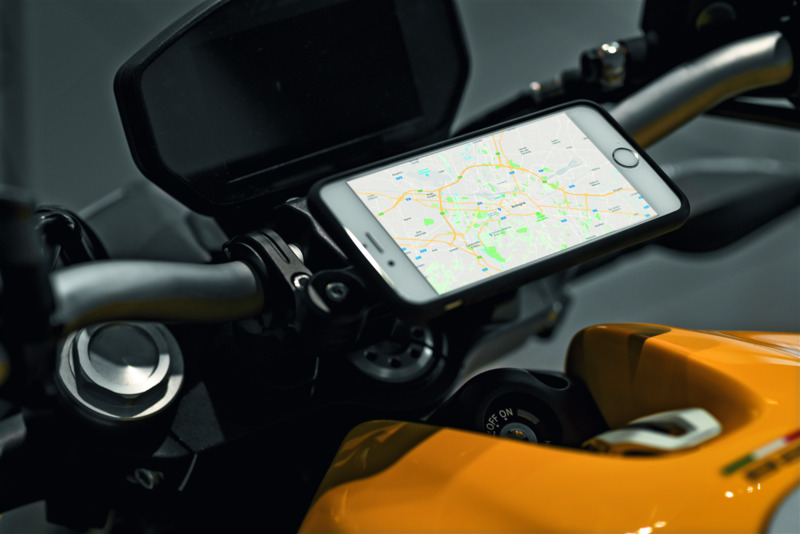 After connecting the smartphone cover to the bike using the support, you will be free to enjoy your travels without any worries.